One of the issues that relatives and close friends are faced with regarding addiction is; why? 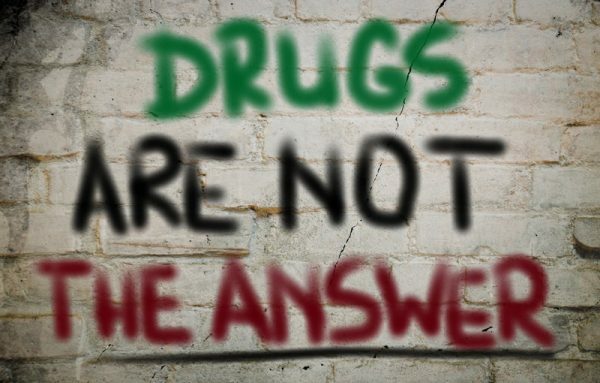 There is a simple explanation of why drug addicts keep using drugs. In fact, whenever families are faced with a loved one abusing some illicit drug or prescription medication, including alcohol, much confusion results. The addict is often in a state of fixation on getting more drugs. This condition brings about many shifts in behaviour towards loved ones. You may wonder why your son or daughter is lying, avoiding you or family events. You probably questioned how come money is missing from your wallet or valuables are disappearing from the jewelry box, etc. The addict is struggling with the pain of withdrawals if they cannot get more mind-altering substances. Their solution is more drugs, if the money is not there, they will find any and all means to get it. Above are just some of the issues that are observable and making addiction appear to be a complex subject. Whether your loved one is struggling with Heroin, Cocaine, Crystal meth or Pot and Alcohol there is a reason. When a person is faced with a painful life situation and has no immediate solution they must simply suffer with pain. That pain can be physical or emotional but nonetheless painful and unwanted. The death of a close relative, a broken relationship, abusive childhood, failure and the list can go on. These life situations cause unwanted pain and it’s only a matter of time before the person discovers that alcohol or drugs will bring relief. Yet that relief is temporary and when the effects of the drug wear off, more and more drugs are used. This continued use causes the body to become accustomed and dependent upon the effects. At this point of drug, medication or alcohol use is where actual addiction enters the equation. A human body is not intended to absorb and digest mind-altering toxins. Drugs and alcohol are not nutrients the body can use for healthy living. There is a whole subject on the effects to various organs of the human body when continued use of such substance is not checked. On a physical level, the body burns up its nutrients such as vitamins, proteins, and minerals that are part of a healthy body. This burn up is to fight off the effects of poison being put into the body. A nutrient deficient body is now susceptible to other health risks such as a weakened immune system. This in part answers why and addict keeps using drugs; they numb out the painful side effects the drug is causing. Another point is the mental effects of drugs. When your loved one is suffering from a painful situation, the use of drugs numbs out the source. This numbing effect includes a form of euphoria; the desired state. Each time your son, daughter or husband or wife uses drugs they enter a state of disconnection from all life’s troubles. As this is only a momentary desired state, the person wants more and the body can’t do without. The addict is actually stuck in living with the pain of drug abuse and suffering the pain of not having drugs. It’s a real hell, and in part, an overview of why drug addicts keep using drugs.